Is NRG Energy Inc (NRG) Going to Burn These Hedge Funds? Hedge fund managers like David Einhorn, Dan Loeb, or Carl Icahn became billionaires through reaping large profits for their investors, which is why piggybacking their stock picks may provide us with significant returns as well. Many hedge funds, like Paul Singer’s Elliott Management, are pretty secretive, but we can still get some insights by analyzing their quarterly 13F filings. One of the most fertile grounds for large abnormal returns is hedge funds’ most popular small-cap picks, which are not so widely followed and often trade at a discount to their intrinsic value. In this article we will check out hedge fund activity in another small-cap stock: NRG Energy Inc (NYSE:NRG). NRG Energy Inc (NYSE:NRG) was in 31 hedge funds’ portfolios at the end of September. NRG investors should be aware of an increase in hedge fund interest recently. 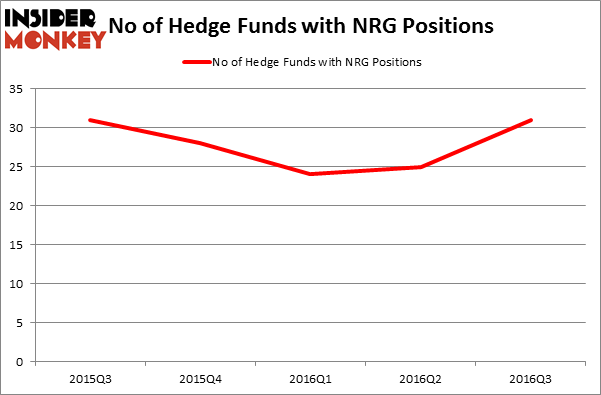 There were 25 hedge funds in our database with NRG holdings at the end of the previous quarter. The level and the change in hedge fund popularity aren’t the only variables you need to analyze to decipher hedge funds’ perspectives. A stock may witness a boost in popularity but it may still be less popular than similarly priced stocks. That’s why at the end of this article we will examine companies such as B/E Aerospace Inc (NASDAQ:BEAV), Great Plains Energy Incorporated (NYSE:GXP), and Royal Gold, Inc USA) (NASDAQ:RGLD) to gather more data points. Keeping this in mind, let’s review the new action surrounding NRG Energy Inc (NYSE:NRG). How have hedgies been trading NRG Energy Inc (NYSE:NRG)? Heading into the fourth quarter of 2016, a total of 31 of the hedge funds tracked by Insider Monkey were long this stock, an increase of 24% from one quarter earlier. With hedgies’ positions undergoing their usual ebb and flow, there exists an “upper tier” of key hedge fund managers who were boosting their stakes significantly (or already accumulated large positions). 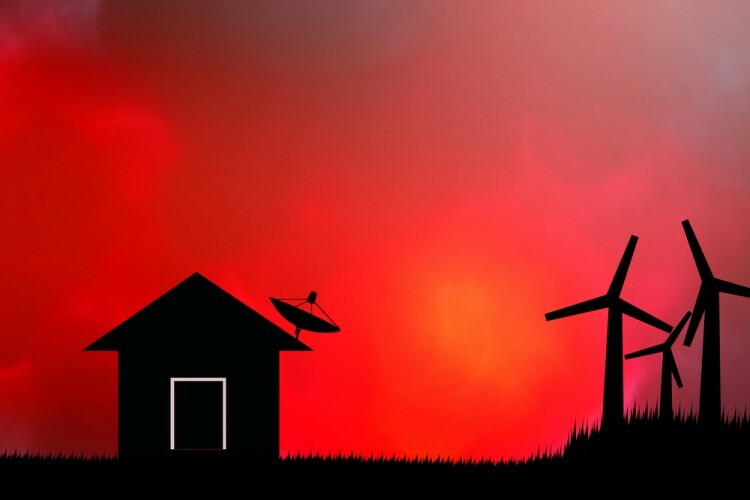 Of the funds tracked by Insider Monkey, Clint Carlson’s Carlson Capital has the number one position in NRG Energy Inc (NYSE:NRG), worth close to $164.6 million, amounting to 2.1% of its total 13F portfolio. The second most bullish fund manager is Ken Griffin of Citadel Investment Group, with a $24.6 million position. Other professional money managers that are bullish include Glenn Russell Dubin’s Highbridge Capital Management, and David Costen Haley’s HBK Investments.